Wine production in Greece dates back thousands of years. Excavations at prehistoric settlements have brought to light charred remains of Vitis Vinifera vines that provide the earliest indication of wine making in Mediterranean, and remains of wine presses found in Crete suggest that wine was consumed on this island in the second millennium BC. Modern Greek wine, however, started seriously to enter the international wine scene only in the last few decades of the 20th century, although it was commercially established long before. Most wine professionals around the world now recognize Greece as a source of diverse high-quality wines with distinctive and unique character, and exports have seen a remarkable increase in both volume and value with more and more wine consumers appreciating the virtues of the Greek wine. Figures released in 2016 indicate that wine exports from Greece to the United States and Canada in the last five years have increased by 39% and 55%, respectively. Greek wine is enjoying growing demand despite increasing worldwide competition. Greek wine is shipped to more than 35 countries around the globe. 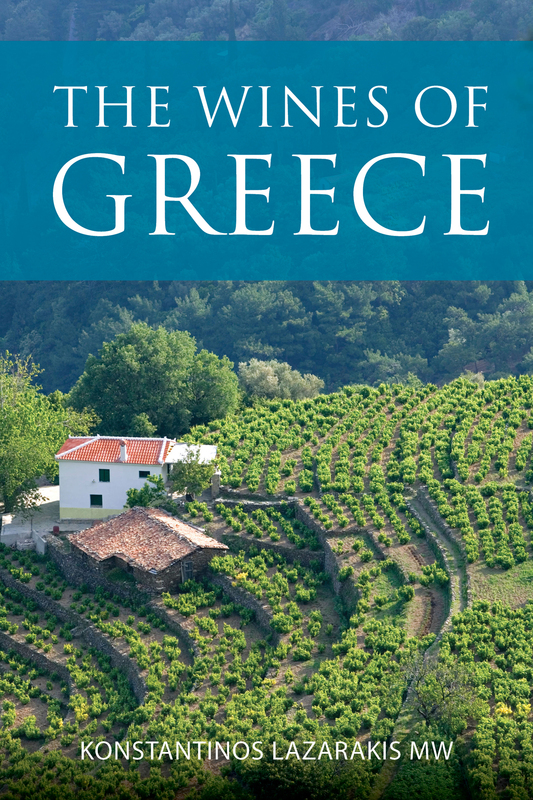 Konstantinos Lazarakis’s new book provides an overview of all Greek wine regions and appellations (new and old), their topographic, geographic and climatic conditions and the various grape varieties. The wines of Greece also discusses renowned grape varieties such as Assyrtiko and Xinomavro as well as traditional wines such as Retsina which is currently undergoing a revival. Part two of the book takes the regions in turn and the book concludes with several appendices covering old and new wine classification, labeling terms and how to read a wine label, distribution of native and international grape varieties, total acreage under vine by region and a list of recommended producers. There are also maps of wine producing regions.